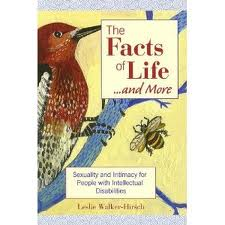 The Facts of Life…and More by Leslie Walker-Hirsch. The volume enables professionals to support people with intellectual disabilities in making decisions regarding their sexuality. The first section of the book explores the relationship between special education and sexuality education. The second section discusses sexuality and intellectual disability as a cultural phenomenon. Section three addresses the risks associated with sexual activity. The final section of the book suggests and defines various types of treatment, education, counseling, and therapy. It also examines issues of consent, abuse, dysfunction, and mental health. Pp. 298.